Using UIDAIs Aadhaar Authentication History feature, you can easily check online when and who misused your aadhaar card. Aadhaar authentication is a process by which the aadhaar number along with the demographic information or biometric information of the holder is cross-checked by the Central Identities Data Repository (CIDR) on the request of service providers like bank, insurance company, mutual fund or a telecom operator for ID proof. 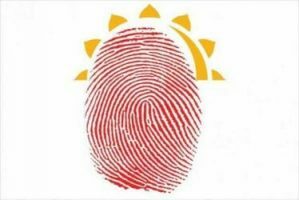 Aadhaar authentication can be completed through various means like biometric – fingerprint and IRIS, demographic, and OTP to registered mobile phone or email id. Here’s how you can check the history of your aadhaar notification to find out where and when your aadhaar was misused and alert the authorities if any irregularity is observed. Visit UIDAI website and go to the aadhaar authentication history page. Now, enter your aadhaar card number and the security code mentioned in it. Next, click on the ‘Generate OTP’ option. Once you receive the OTP on your mobile phone, ensure that you verify your number on the UIDAI website. You will now be able to see options such as the period of information sought and the number of transactions. Choose accordingly, input your OTP, and click ‘Submit’. Once done, the screen will reflect the date, time, and types of all aadhaar authentication requests made in the time period you opted for. However, it will not reveal who made the requests. Once the biometric is locked, its authentication also gets blocked. If there are any benefits attached to the number such as bank transfers etc, they will however continue. Its use gets restricted and one may not be able to authenticate it on any biometric devise. To unblock, one has to again visit the same website and after entering the Aadhaar number, receive the OTP to unlock it. After locking biometrics if a UID is used for invoking any of the authentication services using a biometric modality (fingerprint/iris) a specific error code ‘330’ indicating biometrics are locked will be displayed.